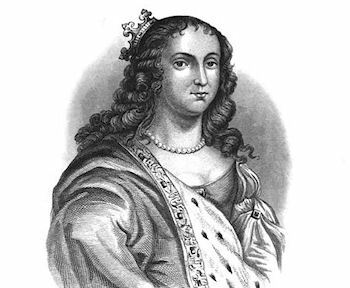 Lady Margaret Cavendish, Duchess of Newcastle-upon-Tyne was born in 1623. Cavendish was an outspoken aristocrat who traveled in circles of scientific thinkers, and broke ground on proto-feminism, natural philosophy and social politics. In her lifetime, she published 20 books. But amid her poetry and essays, she also published one of the earliest examples of science fiction in 1666. She named it The Description of a New World, Called the Blazing World.